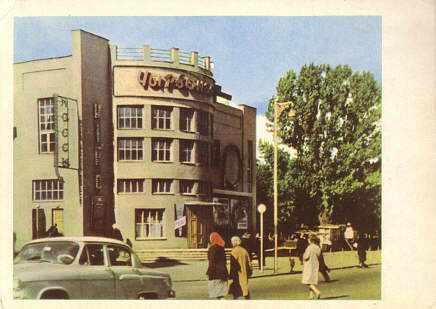 Cinema, built 1930 replacing the cinema "Chary". Destroyed in World War II. Subsequently rebuilt. 1954 rebuilding. 526 seats. Reverse Text: "Magilew, Kinateatr 'Chyrvonaya Zorka'"